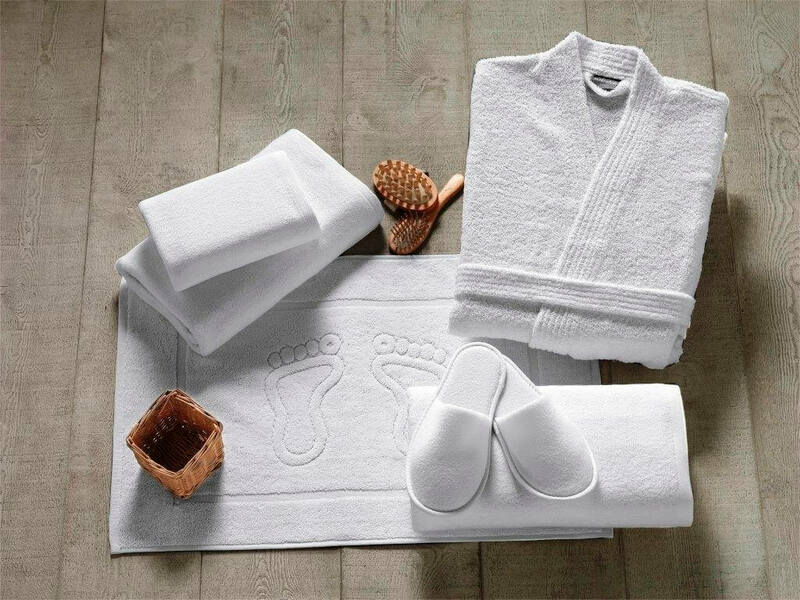 Quality terry towels, big towels, bath mats and bathrobes are products that have become necessary component of hotel bathrooms. 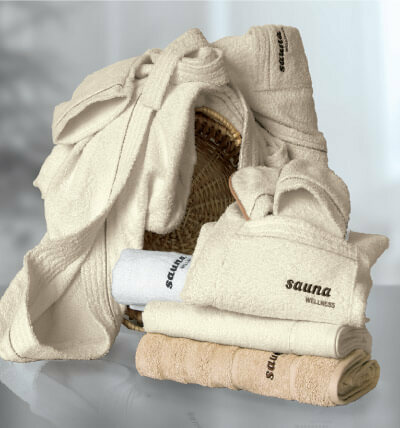 The highest quality ones are those made of natural cotton and they feature high levels of absorption and tenderness. 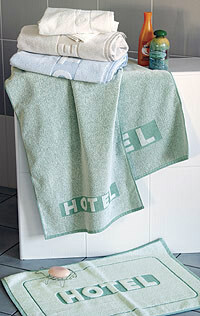 Available in various colours, designs and qualities. 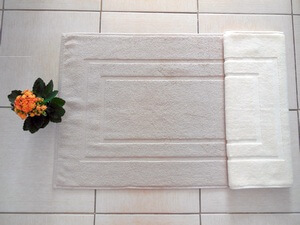 BARI 500 gsm and DENII 400 gsm WALK are available in all standard sizes 50×100, 70×140 and 100×150 cm. 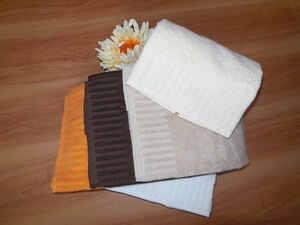 Part of this range of products are also small towels 30×30 cm BARI and 30×50 cm DENII, quality WALK terry. 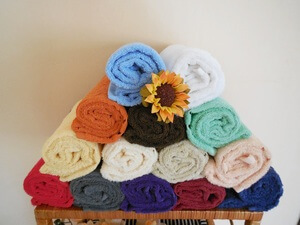 DENII : standard colours : white, red, pastel green, dark brown, light blue, salmon, dark blue, burgundy, light yellow, dark grey, beige and terracotta. 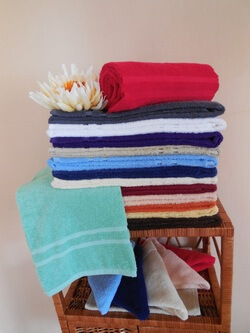 Colours made to order (besides standard colours) : production and delivery in ca. 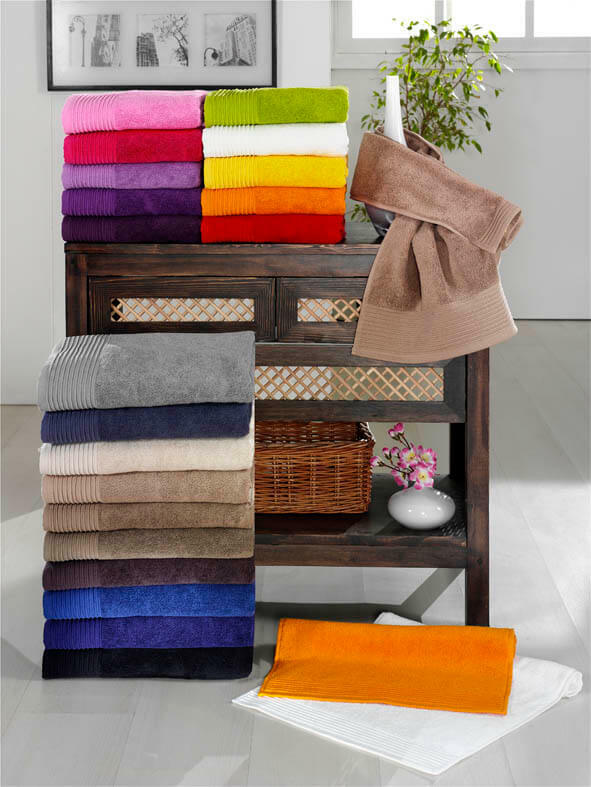 7 – 8 weeks and minimum quantities are hand towels 500 pcs and bath towels 300 pcs. 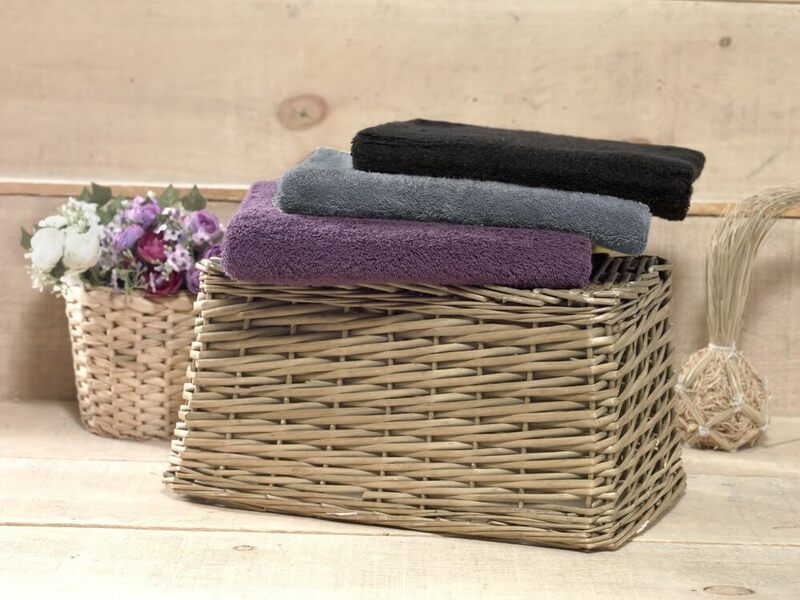 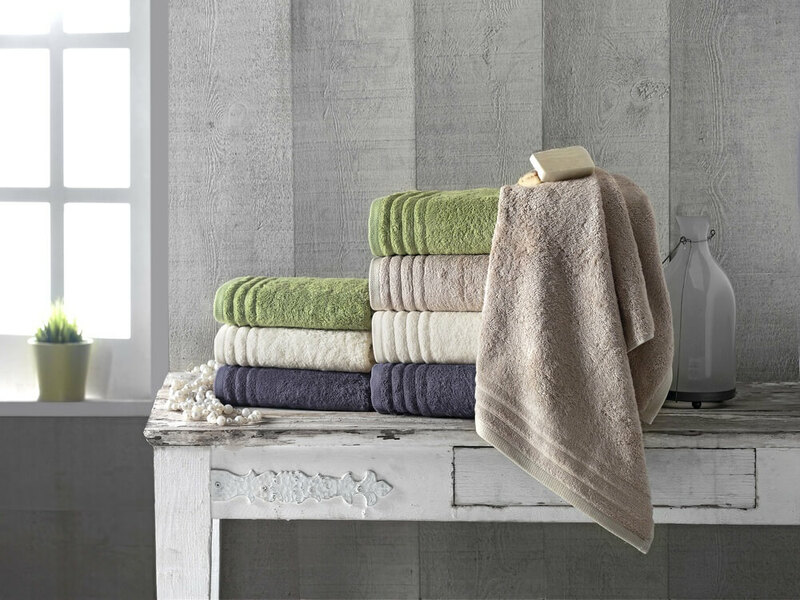 Luxury hand towels and bath towels COMFORT with a cotton border, quality WALK terry, 550 gsm, standard size 50×100, 70×140 and 100×150. 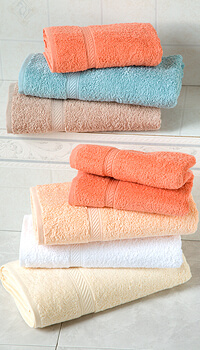 Colours white or pastel. 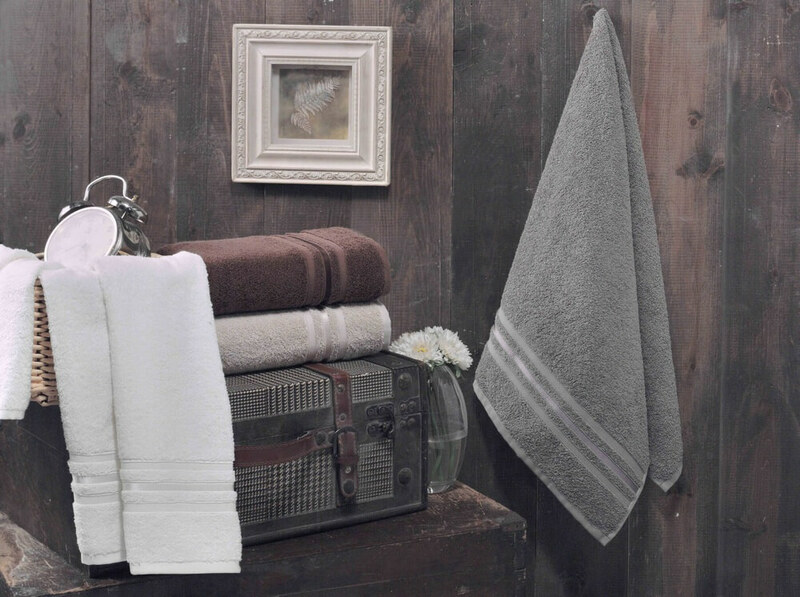 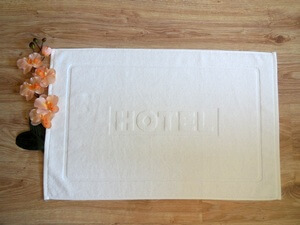 Terry handtowels and bath towels MARIOT with logo HOTEL or with customer´s own logo or without logo, are made of twisted terry with lower piles, weight 380 – 500 gsm, usually in white colour. 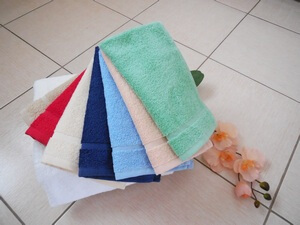 It is possible to deliver in any colour and with any logo, on condition of order minimum quantity 500 pcs hand towels and 300 pcs bathtowels. 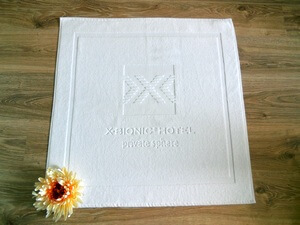 are in size 50×75 and weight 650 gsm or 750 gsm plain. 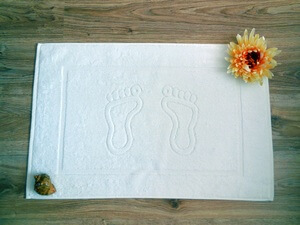 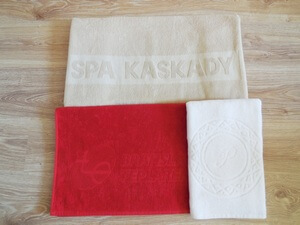 Bath mats 750 gsm are available also with woven logo HOTEL or with own woven logo, in white or pastel colours. 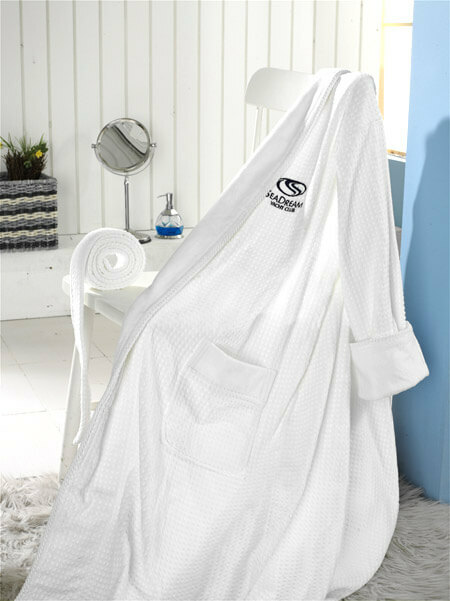 Bathrobes STELLA are made of terry, weight 400 gsm, bathrobes RENO are of velour weight 300 gsm. 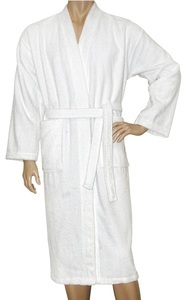 Both of them have a luxury look because of shawl-collar. 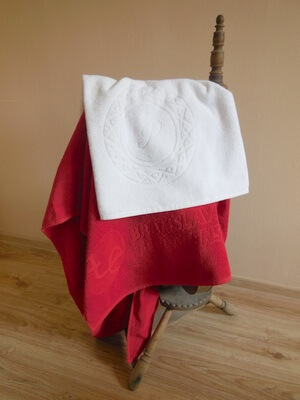 It is possible to embroider a logo. 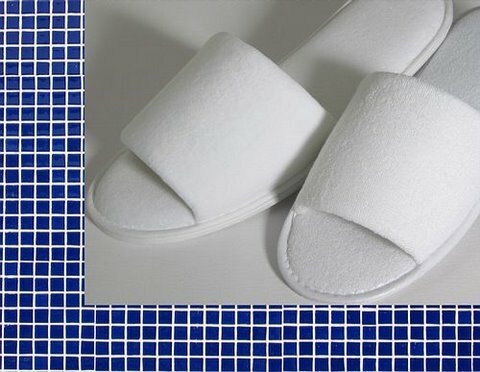 Slippers made of terry with anti-slip sole can be added to order and we can print a logo on slippers. 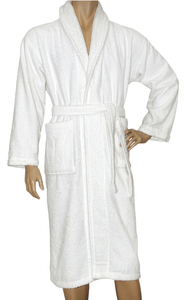 Bathrobes WAFFLE are made of waffle 240 gsm and bathrobes ASTERIX are made of terry 360 gsm, both kimono version. 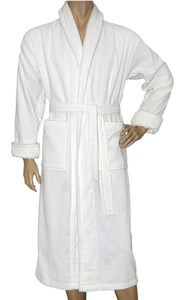 They are offered at affordable price and are good alternative to thicker bathrobes with shawl-collar. 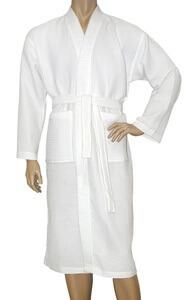 Bathrobes can be marked by embroidering a logo. 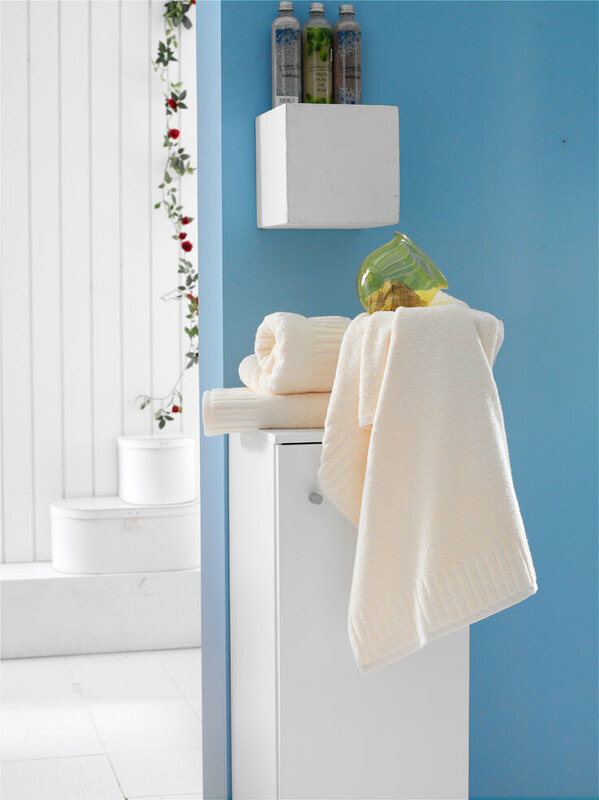 Textile water resistant bathroom curtains come in white or champagne colour, or in case of bigger order – according to colour scheme. 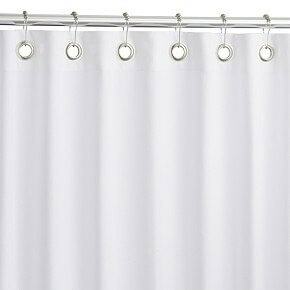 Curtain is either hanged on a tunnel or by using inserted plastic loops together with plastic hooks. 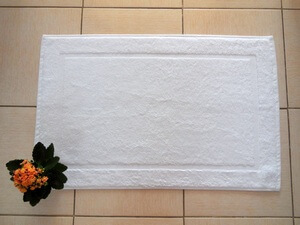 Standard size : 180×150, 120×150, 220×150 or according to customer´s needs.